What to Do If Your Passport is Lost or Stolen on Vacation? What should you do if the worst case scenario happens and your passport disappears while you are overseas? Have a copy of both your passport and your birth certificate on Google Drive, so that you can easily access it if necessary. Also, make sure that your birth certificate is easily accessible for your family back home in Canada, as they may need to show it to the Canadian passport office. Get a protective cover for your passport and a secure pocket in your handbag where you can always carry it. So, you’ve realized that your passport is gone. Stop. Take a deep breath. Do a thorough search of your hotel room just to make sure that it hasn’t fallen under the bed or you haven’t left it in the other pocket of your backpack. If you truly can’t find it, Canadian government offices abroad can issue you an emergency travel document or a temporary passport if you would otherwise be stranded in a foreign country. You can also call the Canadian Passport Emergency line at 1-613-996-8885. They accept collect calls. They will advise you of the address and opening hours of the nearest Canadian embassy and let you know what to do. One thing to keep in mind is that you will need someone to serve as a guarantor. This is not really something that you can arrange in advance because the person will need to be in Canada and available to receive calls at the same time you are travelling. A completed application form signed by your guarantor. Your guarantor must have known you for at least two years and be accessible to the Passport Program for verification. Two identical passport photos, one of which is signed by your guarantor. The fees for passport replacement. The form declaring the loss, theft or damage of your passport. Not only is it a pain to get your passport replaced, losing it more than once can have consequences. 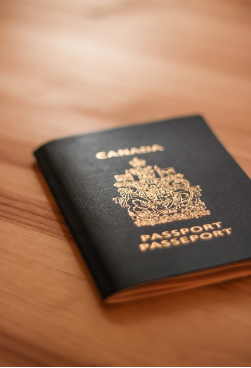 If you have had more than one passport lost, stolen or damaged, the Canadian government may limit your passport’s validity, ask you to provide proof of travel before issuing a new one or refuse your application.